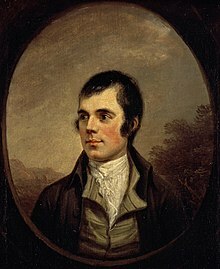 Robert Burns (25 January 1759 – 21 July 1796), also known as Rabbie Burns, the Bard of Ayrshire and various other names and epithets,[nb 1] was a Scottish poet and lyricist. He is widely regarded as the national poet of Scotland and is celebrated worldwide. He is the best known of the poets who have written in the Scots language, although much of his writing is also in English and a light Scots dialect, accessible to an audience beyond Scotland. He also wrote in standard English, and in these writings his political or civil commentary is often at its bluntest. As well as making original compositions, Burns also collected folk songs from across Scotland, often revising or adapting them. 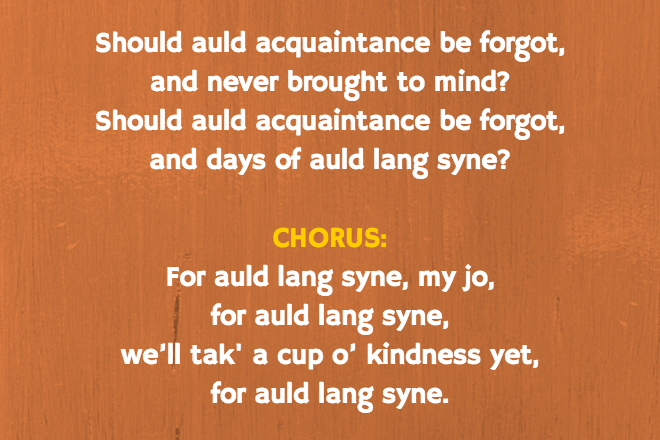 His poem (and song) “Auld Lang Syne” is often sung at Hogmanay (the last day of the year), and “Scots Wha Hae” served for a long time as an unofficial national anthem of the country. Other poems and songs of Burns that remain well known across the world today include “A Red, Red Rose“, “A Man’s a Man for A’ That“, “To a Louse“, “To a Mouse“, “The Battle of Sherramuir“, “Tam o’ Shanter” and “Ae Fond Kiss“. Burns was born two miles (3 km) south of Ayr, in Alloway, the eldest of the seven children of William Burnes (1721–1784), a self-educated tenant farmer from Dunnottar in the Mearns, and Agnes Broun (1732–1820), the daughter of a Kirkoswald tenant farmer. He had little regular schooling and got much of his education from his father, who taught his children reading, writing, arithmetic, geography, and history and also wrote for them A Manual Of Christian Belief. He was also taught by John Murdoch (1747–1824), who opened an “adventure school” in Alloway in 1763 and taught Latin, French, and mathematics to both Robert and his brother Gilbert (1760–1827) from 1765 to 1768 until Murdoch left the parish. After a few years of home education, Burns was sent to Dalrymple Parish School during the summer of 1772 before returning at harvest time to full-time farm labouring until 1773, when he was sent to lodge with Murdoch for three weeks to study grammar, French, and Latin. By the age of 15, Burns was the principal labourer at Mount Oliphant. During the harvest of 1774, he was assisted by Nelly Kilpatrick (1759–1820), who inspired his first attempt at poetry, “O, Once I Lov’d A Bonnie Lass”. In the summer of 1775, he was sent to finish his education with a tutor at Kirkoswald, where he met Peggy Thompson (b.1762), to whom he wrote two songs, “Now Westlin’ Winds” and “I Dream’d I Lay”. Despite his ability and character, William Burnes was consistently unfortunate, and migrated with his large family from farm to farm without ever being able to improve his circumstances. At Whitsun, 1777, he removed his large family from the unfavourable conditions of Mount Oliphant to the 130-acre (0.53 km2) farm at Lochlea, near Tarbolton, where they stayed until William Burnes’ death in 1784. Subsequently, the family became integrated into the community of Tarbolton. To his father’s disapproval, Robert joined a country dancing school in 1779 and, with Gilbert, formed the Tarbolton Bachelors’ Club the following year. His earliest existing letters date from this time, when he began making romantic overtures to Alison Begbie (b. 1762). In spite of four songs written for her and a suggestion that he was willing to marry her, she rejected him. In December 1781, Burns moved temporarily to Irvine to learn to become a flax-dresser, but during the workers’ celebrations for New Year 1781/1782 (which included Burns as a participant) the flax shop caught fire and was burnt to the ground. This venture accordingly came to an end, and Burns went home to Lochlea farm. During this time he met and befriended Captain Richard Brown who encouraged him to become a poet. His first child, Elizabeth Paton Burns (1785–1817), was born to his mother’s servant, Elizabeth Paton (1760–circa 1799), while he was embarking on a relationship with Jean Armour, who became pregnant with twins in March 1786. Burns signed a paper attesting his marriage to Jean, but her father “was in the greatest distress, and fainted away”. To avoid disgrace, her parents sent her to live with her uncle in Paisley. Although Armour’s father initially forbade it, they were eventually married in 1788. Armour bore him nine children, only three of whom survived infancy. Burns was in financial difficulties due to his want of success in farming, and to make enough money to support a family he took up a friend’s offer of work in Jamaica, at a salary of £30 per annum. The position that Burns accepted was as a bookkeeper on a slave plantation. Burns’s egalitarian views were typified by “The Slave’s Lament” six years later, but in 1786 there was little public awareness of the abolitionist movement that began about that time. At about the same time, Burns fell in love with Mary Campbell (1763–1786), whom he had seen in church while he was still living in Tarbolton. She was born near Dunoon and had lived in Campbeltown before moving to work in Ayrshire. He dedicated the poems “The Highland Lassie O”, “Highland Mary”, and “To Mary in Heaven” to her. His song “Will ye go to the Indies, my Mary, And leave auld Scotia’s shore?” suggests that they planned to emigrate to Jamaica together. Their relationship has been the subject of much conjecture, and it has been suggested that on 14 May 1786 they exchanged Bibles and plighted their troth over the Water of Fail in a traditional form of marriage. Soon afterwards Mary Campbell left her work in Ayrshire, went to the seaport of Greenock, and sailed home to her parents in Campbeltown. On 31 July 1786 John Wilson published the volume of works by Robert Burns, Poems, Chiefly in the Scottish dialect. Known as the Kilmarnock volume, it sold for 3 shillings and contained much of his best writing, including “The Twa Dogs”, “Address to the Deil“, “Halloween“, “The Cotter’s Saturday Night”, “To a Mouse“, “Epitaph for James Smith“, and “To a Mountain Daisy“, many of which had been written at Mossgiel farm. The success of the work was immediate, and soon he was known across the country. Alexander Nasmyth, Robert Burns (1828). His person was strong and robust; his manners rustic, not clownish, a sort of dignified plainness and simplicity which received part of its effect perhaps from knowledge of his extraordinary talents. His features are presented in Mr Nasmyth’s picture but to me it conveys the idea that they are diminished, as if seen in perspective. I think his countenance was more massive than it looks in any of the portraits … there was a strong expression of shrewdness in all his lineaments; the eye alone, I think, indicated the poetical character and temperament. It was large, and of a dark cast, and literally glowed when he spoke with feeling or interest. I never saw such another eye in a human head, though I have seen the most distinguished men of my time. The new edition of his poems brought Burns £400. His stay in the city also resulted in some lifelong friendships, among which were those with Lord Glencairn, and Frances Anna Dunlop (1730–1815), who became his occasional sponsor and with whom he corresponded for many years until a rift developed. He embarked on a relationship with the separated Agnes “Nancy” McLehose (1758–1841), with whom he exchanged passionate letters under pseudonyms (Burns called himself “Sylvander” and Nancy “Clarinda”‘). When it became clear that Nancy would not be easily seduced into a physical relationship, Burns moved on to Jenny Clow (1766–1792), Nancy’s domestic servant, who bore him a son, Robert Burns Clow, in 1788. He also had an affair with a servant girl, Margaret “May” Cameron. His relationship with Nancy concluded in 1791 with a final meeting in Edinburgh before she sailed to Jamaica for what turned out to be a short-lived reconciliation with her estranged husband. Before she left, he sent her the manuscript of “Ae Fond Kiss” as a farewell. On his return from Edinburgh in February 1788, he resumed his relationship with Jean Armour and took a lease on Ellisland Farm, Dumfriesshire, settling there in June. He also trained as a gauger or exciseman in case farming continued to be unsuccessful. He was appointed to duties in Customs and Excise in 1789 and eventually gave up the farm in 1791. Meanwhile, in November 1790, he had written “Tam O’ Shanter“. About this time he was offered and declined an appointment in London on the staff of The Star newspaper, and refused to become a candidate for a newly created Chair of Agriculture in the University of Edinburgh, although influential friends offered to support his claims. He did however accept membership of the Royal Company of Archers in 1792. After giving up his farm, he removed to Dumfries. It was at this time that, being requested to write lyrics for The Melodies of Scotland, he responded by contributing over 100 songs. He made major contributions to George Thomson‘s A Select Collection of Original Scottish Airs for the Voice as well as to James Johnson’s Scots Musical Museum. Arguably his claim to immortality chiefly rests on these volumes, which placed him in the front rank of lyric poets. As a songwriter he provided his own lyrics, sometimes adapted from traditional words. He put words to Scottish folk melodies and airs which he collected, and composed his own arrangements of the music including modifying tunes or recreating melodies on the basis of fragments. In letters he explained that he preferred simplicity, relating songs to spoken language which should be sung in traditional ways. The original instruments would be fiddle and the guitar of the period which was akin to a cittern, but the transcription of songs for piano has resulted in them usually being performed in classical concert or music hall styles. Thomson as a publisher commissioned arrangements of “Scottish, Welsh and Irish Airs” by such eminent composers of the day as Franz Haydn and Ludwig van Beethoven, with new lyrics. The contributors of lyrics included Burns. While such arrangements had wide popular appeal, Beethoven’s music was more advanced and difficult to play than Thomson intended. I consider the poetic sentiment, correspondent to my idea of the musical expression, then chuse my theme, begin one stanza, when that is composed—which is generally the most difficult part of the business—I walk out, sit down now and then, look out for objects in nature around me that are in unison or harmony with the cogitations of my fancy and workings of my bosom, humming every now and then the air with the verses I have framed. when I feel my Muse beginning to jade, I retire to the solitary fireside of my study, and there commit my effusions to paper, swinging, at intervals, on the hind-legs of my elbow chair, by way of calling forth my own critical strictures, as my, pen goes. Burns also worked to collect and preserve Scottish folk songs, sometimes revising, expanding, and adapting them. One of the better known of these collections is The Merry Muses of Caledonia (the title is not Burns’s), a collection of bawdy lyrics that were popular in the music halls of Scotland as late as the 20th century. Many of Burns’s most famous poems are songs with the music based upon older traditional songs. For example, “Auld Lang Syne” is set to the traditional tune “Can Ye Labour Lea”, “A Red, Red Rose” is set to the tune of “Major Graham” and “The Battle of Sherramuir” is set to the “Cameronian Rant”. Burns’s worldly prospects were perhaps better than they had ever been; but he had become soured, and moreover he had alienated many of his best friends by too freely expressing sympathy with the French Revolution and the then unpopular advocates of reform at home. His political views also came to the notice of his employers and in an attempt to prove his loyalty to the Crown, Burns joined the Royal Dumfries Volunteers in March 1795. As his health began to give way, he began to age prematurely and fell into fits of despondency. The habits of intemperance (alleged mainly by temperance activist James Currie) are said to have aggravated his long-standing possible rheumatic heart condition. His death followed a dental extraction in winter 1795. On the morning of 21 July 1796, Burns died in Dumfries, at the age of 37. The funeral took place on Monday 25 July 1796, the day that his son Maxwell was born. He was at first buried in the far corner of St. Michael’s Churchyard in Dumfries; a simple “slab of freestone” was erected as his gravestone by Jean Armour, which some felt insulting to his memory. His body was eventually moved to its final location in the same cemetery, the Burns Mausoleum, in September 1817. The body of his widow Jean Armour was buried with his in 1834. Armour had taken steps to secure his personal property, partly by liquidating two promissory notes amounting to fifteen pounds sterling (about 1,100 pounds at 2009 prices). The family went to the Court of Session in 1798 with a plan to support his surviving children by publishing a four-volume edition of his complete works and a biography written by Dr. James Currie. Subscriptions were raised to meet the initial cost of publication, which was in the hands of Thomas Cadell and William Davies in London and William Creech, bookseller in Edinburgh. Hogg records that fund-raising for Burns’s family was embarrassingly slow, and it took several years to accumulate significant funds through the efforts of John Syme and Alexander Cunningham. Burns’s style is marked by spontaneity, directness, and sincerity, and ranges from the tender intensity of some of his lyrics through the humour of “Tam o’ Shanter” and the satire of “Holy Willie’s Prayer” and “The Holy Fair”. Burns’s poetry drew upon a substantial familiarity with and knowledge of Classical, Biblical, and English literature, as well as the Scottish Makar tradition. Burns was skilled in writing not only in the Scots language but also in the Scottish English dialect of the English language. Some of his works, such as “Love and Liberty” (also known as “The Jolly Beggars”), are written in both Scots and English for various effects. His themes included republicanism (he lived during the French Revolutionary period) and Radicalism, which he expressed covertly in “Scots Wha Hae“, Scottish patriotism, anticlericalism, class inequalities, gender roles, commentary on the Scottish Kirk of his time, Scottish cultural identity, poverty, sexuality, and the beneficial aspects of popular socialising (carousing, Scotch whisky, folk songs, and so forth). The strong emotional highs and lows associated with many of Burns’s poems have led some, such as Burns biographer Robert Crawford, to suggest that he suffered from manic depression—a hypothesis that has been supported by analysis of various samples of his handwriting. Burns himself referred to suffering from episodes of what he called “blue devilism”. However, the National Trust for Scotland has downplayed the suggestion on the grounds that evidence is insufficient to support the claim. Burns is generally classified as a proto-Romantic poet, and he influenced William Wordsworth, Samuel Taylor Coleridge, and Percy Bysshe Shelley greatly. His direct literary influences in the use of Scots in poetry were Allan Ramsay and Robert Fergusson. The Edinburgh literati worked to sentimentalise Burns during his life and after his death, dismissing his education by calling him a “heaven-taught ploughman”. Burns influenced later Scottish writers, especially Hugh MacDiarmid, who fought to dismantle what he felt had become a sentimental cult that dominated Scottish literature. Burns had a significant influence on Alexander McLachlan and some influence on Robert Service. While this may not be so obvious in Service’s English verse, which is Kiplingesque, it is more readily apparent in his Scots verse. Scottish Canadians have embraced Robert Burns as a kind of patron poet and mark his birthday with festivities. ‘Robbie Burns Day’ is celebrated from Newfoundland and Labrador to Nanaimo. Every year, Canadian newspapers publish biographies of the poet, listings of local events and buffet menus. Universities mark the date in a range of ways: McMaster University library organized a special collection and Simon Fraser University‘s Centre for Scottish Studies organized a marathon reading of Burns’ poetry). Senator Heath Macquarrie quipped of Canada’s first Prime Minister that “While the lovable [Robbie] Burns went in for wine, women and song, his fellow Scot, John A. did not chase women and was not musical!”  ‘Gung Haggis Fat Choy’ is a hybrid of Chinese New Year and Robbie Burns Day, celebrated in Vancouver since the late 1990s. An example of Burns’s literary influence in the U.S. is seen in the choice by novelist John Steinbeck of the title of his 1937 novel, Of Mice and Men, taken from a line in the second-to-last stanza of “To a Mouse“: “The best laid schemes o’ mice an’ men / Gang aft agley.” Burns’s influence on American vernacular poets such as James Whitcomb Riley and Frank Lebby Stanton has been acknowledged by their biographers. When asked for the source of his greatest creative inspiration, singer songwriter Bob Dylan selected Burns’s 1794 song “A Red, Red Rose” as the lyric that had the biggest effect on his life. The author J. D. Salinger used protagonist Holden Caulfield’s misinterpretation of Burns’s poem “Comin’ Through the Rye” as his title and a main interpretation of Caulfield’s grasping to his childhood in his 1951 novel The Catcher in the Rye. The poem, actually about a rendezvous, is thought by Caulfield to be about saving people from falling out of childhood. Burns became the “people’s poet” of Russia. In Imperial Russia Burns was translated into Russian and became a source of inspiration for the ordinary, oppressed Russian people. In Soviet Russia, he was elevated as the archetypal poet of the people. As a great admirer of the egalitarian ethos behind the American and French Revolutions who expressed his own egalitarianism in poems such as his “Birthday Ode for George Washington” or his “Is There for Honest Poverty” (commonly known as “A Man’s a Man for a’ that”), Burns was well placed for endorsement by the Communist regime as a “progressive” artist. A new translation of Burns begun in 1924 by Samuil Marshak proved enormously popular, selling over 600,000 copies. The USSR honoured Burns with a commemorative stamp in 1956. He remains popular in Russia after the fall of the Soviet Union. Burns clubs have been founded worldwide. The first one, known as The Mother Club, was founded in Greenock in 1801 by merchants born in Ayrshire, some of whom had known Burns. The club set its original objectives as “To cherish the name of Robert Burns; to foster a love of his writings, and generally to encourage an interest in the Scottish language and literature.” The club also continues to have local charitable work as a priority. Burns’s birthplace in Alloway is now a public museum known as Burns Cottage. His house in Dumfries is operated as the Robert Burns House, and the Robert Burns Centre in Dumfries features more exhibits about his life and works. Ellisland Farm in Auldgirth, which he owned from 1788 to 1791, is maintained as a working farm with a museum and interpretation centre by the Friends of Ellisland Farm. Significant 19th-century monuments to him stand in Alloway, Edinburgh, and Dumfries. An early 20th-century replica of his birthplace cottage belonging to the Burns Club Atlanta stands in Atlanta, Georgia. These are part of a large list of Burns memorials and statues around the world. In the suburb of Summerhill, Dumfries, the majority of the streets have names with Burns connotations. A British Rail Standard Class 7 steam locomotive was named after him, along with a later Class 87 electric locomotive, No. 87035. On 24 September 1996, Class 156 diesel unit 156433 was named “The Kilmarnock Edition” by Jimmy Knapp, General Secretary of the RMT union, at Girvan Station to launch the new “Burns Line” services between Girvan, Ayr, and Kilmarnock, supported by Strathclyde Passenger Transport (SPT). Several streets surrounding the Frederick Law Olmsted, Jr.‘s Back Bay Fens in Boston, Massachusetts, were designated with Burns connotations. A life-size statue was dedicated in Burns’s honour within the Back Bay Fens of the West Fenway neighbourhood in 1912. It stood until 1972 when it was relocated downtown, sparking protests from the neighbourhood, literary fans, and preservationists of Olmsted’s vision for the Back Bay Fens. There is a statue of Burns in The Octagon, Dunedin, in the same pose as the one in Dundee. Dunedin’s first European settlers were Scots; Thomas Burns, a nephew of Burns, was one of Dunedin’s founding fathers. The oldest statue of Burns is in the town of Camperdown, Victoria. It now hosts an annual Robert Burns Scottish Festival in celebration of the statue and its history. The Royal Mail has issued postage stamps commemorating Burns three times. In 1966, two stamps were issued, priced fourpence and one shilling and threepence, both carrying Burns’s portrait. In 1996, an issue commemorating the bicentenary of his death comprised four stamps, priced 19p, 25p, 41p and 60p and including quotes from Burns’s poems. On 22 January 2009, two stamps were issued by the Royal Mail to commemorate the 250th anniversary of Burns’s birth. Burns was pictured on the Clydesdale Bank £5 note from 1971 to 2009. On the reverse of the note was a vignette of a field mouse and a wild rose in reference to Burns’s poem “To a Mouse”. The Clydesdale Bank’s notes were redesigned in 2009 and, since then, he has been pictured on the front of their £10 note. In September 2007, the Bank of Scotland redesigned their banknotes to feature famous Scottish bridges. The reverse side of new £5 features Brig o’ Doon, famous from Burns’s poem “Tam o’ Shanter”, and pictures the statue of Burns at that site. In 1996, the Isle of Man issued a four-coin set of Crown (5/-) pieces on the themes of “Auld Lang Syne”, Edinburgh Castle, Revenue Cutter, and Writing Poems. Tristan da Cunha produced a gold £5 Bicentenary Coin. In 2009 the Royal Mint issued a commemorative two pound coin featuring a quote from “Auld Lang Syne”. In 1976, singer Jean Redpath, in collaboration with composer Serge Hovey, started to record all of Burns’ songs, with a mixture of traditional and Burns’ own compositions. The project ended when Hovey died, after seven of the planned twenty-two volumes were completed. Redpath also recorded four cassettes of Burns’ songs (re-issued as 3 CDs) for the Scots Musical Museum. In 1996, a musical about Burns’s life called Red Red Rose won third place at a competition for new musicals in Denmark. Robert Burns was played by John Barrowman. On 25 January 2008, a musical play about the love affair between Robert Burns and Nancy McLehose entitled Clarinda premiered in Edinburgh before touring Scotland. The plan was that Clarinda would make its American premiere in Atlantic Beach, FL, at Atlantic Beach Experimental Theatre on 25 January 2013. Eddi Reader has released two albums, Sings the Songs of Robert Burns and The Songs of Robert Burns Deluxe Edition, about the work of the poet. Alfred B. Street wrote the words and Henry Tucker wrote the music for a song called Our Own Robbie Burns in 1856. Burns Night, in effect a second national day, is celebrated on Burns’s birthday, 25 January, with Burns suppers around the world, and is more widely observed in Scotland than the official national day, St. Andrew’s Day. The first Burns supper in The Mother Club in Greenock was held on what was thought to be his birthday on 29 January 1802; in 1803 it was discovered from the Ayr parish records that the correct date was 25 January 1759. The format of Burns suppers has changed little since. The basic format starts with a general welcome and announcements, followed with the Selkirk Grace. After the grace comes the piping and cutting of the haggis, when Burns’s famous “Address to a Haggis” is read and the haggis is cut open. The event usually allows for people to start eating just after the haggis is presented. At the end of the meal, a series of toasts and replies is made. This is when the toast to “the immortal memory”, an overview of Burns’s life and work, is given. The event usually concludes with the singing of “Auld Lang Syne”. In 2009, STV ran a television series and public vote on who was “The Greatest Scot” of all time. Robert Burns won, narrowly beating William Wallace. There are more statues of Robert Burns in the world than any other non-religious figure, after Queen Victoria and Christopher Columbus. In fact, you can’t go anywhere without bumping in to him, with statues in Australia, Canada, America, New Zealand and of course, the UK. When he wasn’t busy writing astounding poems, he had a pretty busy schedule in the bedroom too. Burn fathered 12 children from four different mothers. His last child, Maxwell, was born on the day of his funeral in 1796. The 18th century equivalent of the middle finger at your parents. Despite being widely regarded as the national poet of Scotland, Burns died a very poor man with approximately £1 to his name. A net-worth of no more than the cost of two cans of Irn Bru. According to a plaster cast taken of his skull, Robert Burns had a larger head than the average man. Now, nothing has been scientifically proven but perhaps that is why so much creative genius would flow from his noggin to paper. Scotland’s National Bard has been the inspiration to many music legends, including Bob Dylan who cited him as his greatest creative inspiration. Even if you thought Mr Burns was just a character in The Simpsons, you have probably been listening to songs inspired by his writing. 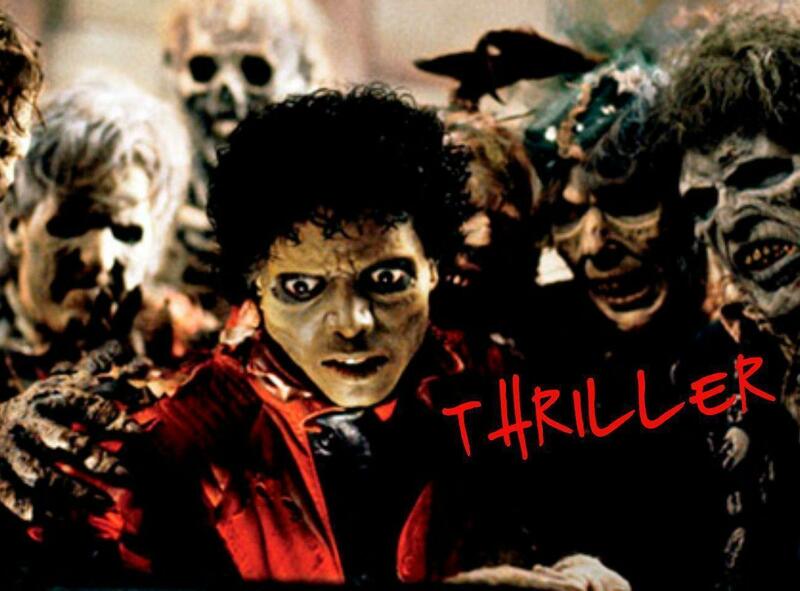 It is said that Michael Jackson’s smash hit Thriller ’ was inspired by Burn’s ‘Tam o’Shanter’ poem. 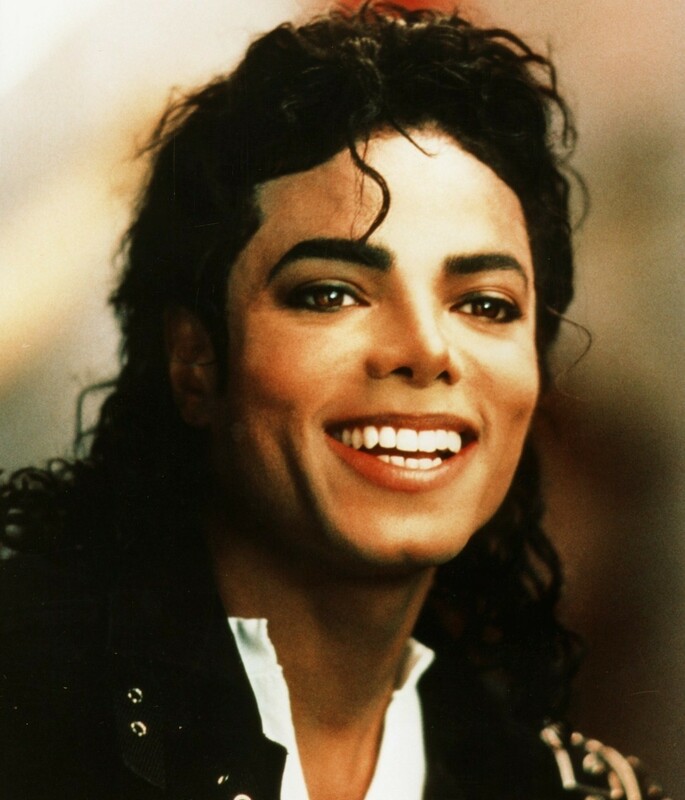 Jacko’s obsession didn’t stop there; he even created a whole album based on Rabbie Burns’ poems. He and David Gest collaborated to create a musical about the poet’s life. U.S president, Abraham Lincoln, could recite Burn’s work by heart. He would regularly break out in to sporadic verse to entertain guests at The White House. Now that’s a party trick we gotta learn. 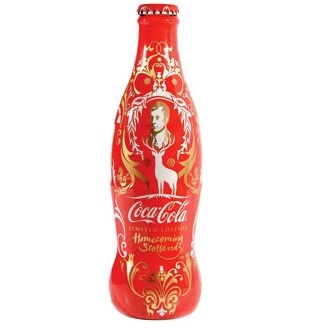 Rabbie’s still making history in the 21st century, appearing on the first ever, commemorative Coca-Cola bottle in 2009. A big fan of booze, we reckon Robert’s drink would be a whisky and coke if he were around today. Robert Burn’s creative genius seems to have been passed down generations and even influences what’s on the catwalk today. Fashion designer, Tommy Hilfiger, claims that he is a direct descendent of Burns. John Barrowman played Robert Burns in a musical about his life in Denmark in 1996. Robert died at the young age of 37. The cause was speculated to be his boozing, unhealthy way of life in his earlier years. 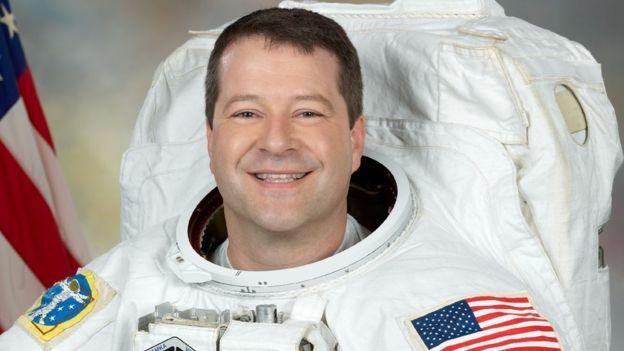 British born astronaut, Nick Patrick, took a book of Robert Burns poetry on a space mission in 2010. Rabbie’s poems, quite literally out of this world, have travelled a staggering 5.7 million miles and 217 orbits of the Earth. Ballads (1798) in quality and importance. A traditional Scottish dish most people either love or hate, given its unique list of ingredients. Haggis is usually made by combining sheep’s ‘pluck’ (heart, liver and lungs) with onion, oatmeal, suet, spices, soaked in stock and then boiled in the sheep’s stomach. Haggis is traditionally served as part of the Burns supper annually on January 25th, when Scotland’s national poet, Robert Burns, is celebrated. Widely available in supermarkets, however cheaper brands normally come in artificial skins rather than the traditional stomach. Haggis is traditionally served with neeps and tatties (turnips and potatoes).